Thank you for your ongoing support all throughout the year. It has been a very fruitful year of helping everyone find solutions to all hearing issues. 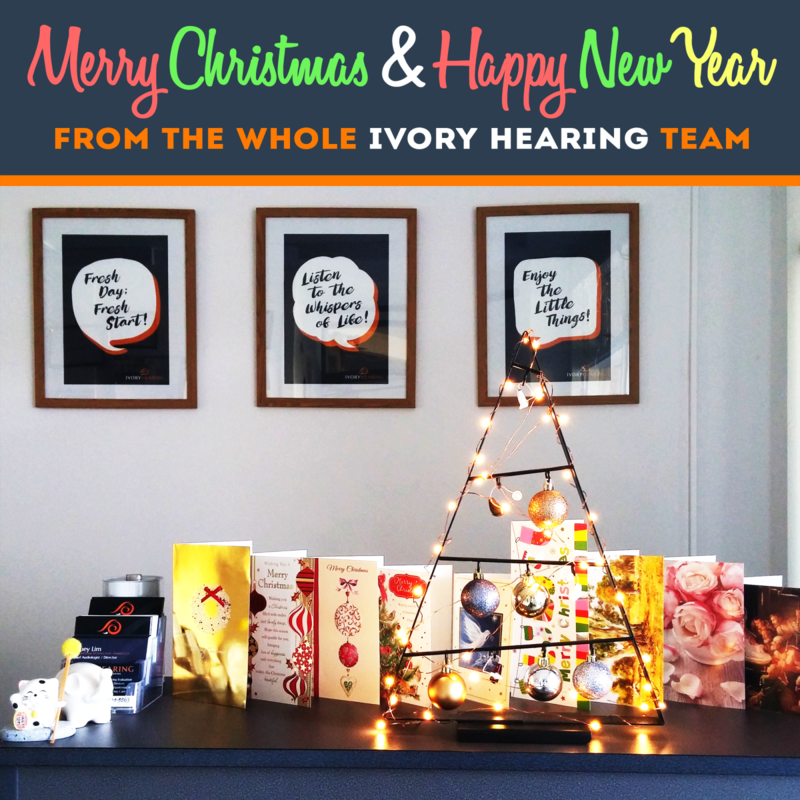 To make 2017 an even better year to serve more people, Ivory Hearing is closing until the 16th Jan for a good recharge. We look forward to continue assisting you and your loved ones with any hearing issues in 2017. Wishing everyone a joyful Christmas and a very healthy New Year! Let us all dream bigger, achieve more goals, laugh out louder, help more people and live fuller life in 2017!